Everything about Anna's bridal portraits was an absolute dream! From a breath-taking riverside venue to an effortlessly beautiful bride, we're beyond excited to be able to share the gorgeous images taken by Katherine Miles Jones. There is no exaggeration when we say that we work with the most interesting and gracious clients, and Anna was no exception. 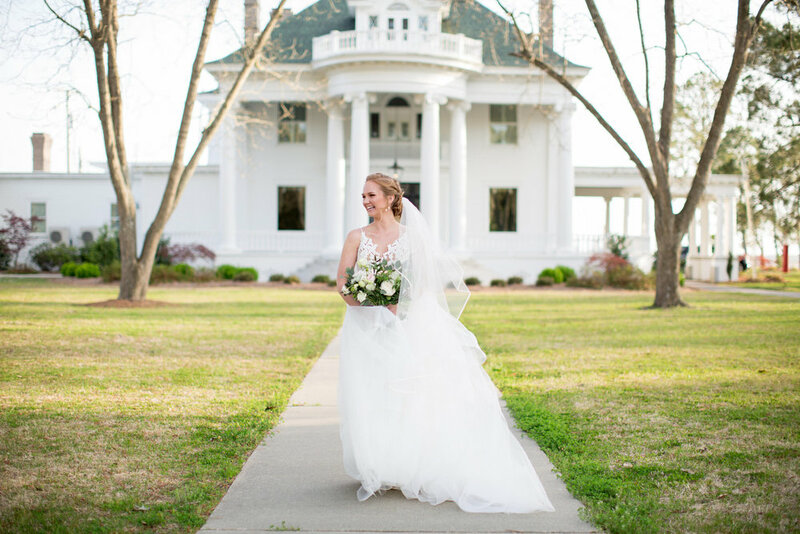 With a love for the outdoors and the water, the River Forest Manor & Marina's historic manor, charming details, and beautiful riverfront was the perfect setting for Anna's bridal portraits and riverside wedding. 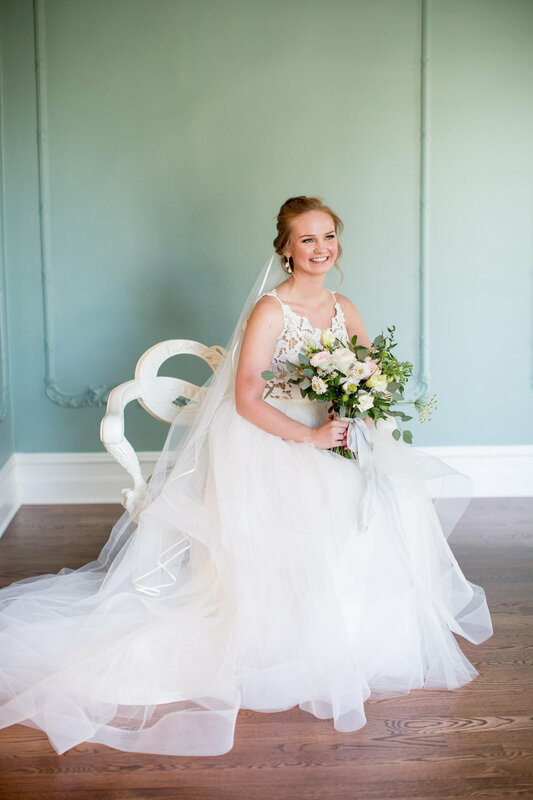 Her thoughtfulness and grace only added to her outward beauty, as she was outfitted in a layered tulle Hayley Paige gown and coastal inspired bridal bouquet. What a stunning bride she was!